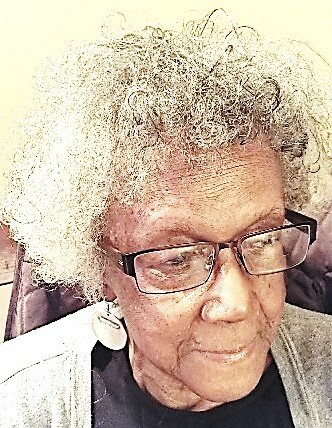 ZALOUMA M. GLOVER, “Betty” (nee Shingles) of Clarence, NY, on February 5, 2019. Beloved wife of the late James Glover; loving mother of Diana, Virginia, Sharon Dove, James (Sharon), Hazel and Raymond; grandmother of Galeania (Kenneth) Pringle, Joseph (Cocoa Alexander) Smith, Lamont Dove, Dr. Maya Glover (Jacob Mollerus), Carlton Smith, Jamia (Ricky) Pereira and Herbert Chandler; great-grandmother of 23; great-great-grandmother of 6; sisters Patricia Shingles of NV and Olympia Seward of OH, and brother Walter Shingles of TX. Preceded in death by grandson Daniel Glover, parents Hazel and Walter Shingles, sister Dolores Cummings, brothers Norman and Quince Shingles. Also survived by a host of nieces, nephews, relatives and friends. Family will receive friends Tuesday, February 12, 2019, 9am at True Bethel Baptist Church, 907 E. Ferry St. Funeral to follow at 10am. Interment held at Forest Lawn Cemetery.